Marketing is all about relationships. What better time to focus on your marketing and business development than around the holidays, when people are focused on their closest personal and business relationships? Below are some five tips on how you can be strategic and thoughtful with your clients during the holiday season. 1.) Know Your Contacts – If you have not taken the time throughout the year to organize your contact list, this a good time to tackle this important task. You should be aware of where your contacts fit on your list of priorities. For example, knowing if a contact is a prospect, current great client, a client with potential for growth (more work), or a client that is slipping away, or a referral, etc. Once you know where your contact stands on your list of priorities, you are better equipped with a plan to reach out to them during the holidays (and the new year). Some contacts may receive a card, other contacts may receive an invitation to dinner or a party, others may receive a company gift. Get organized and know your clients. 2.) Brief Client Interviews – Although the holiday season is not the time to do aggressive selling to your clients, it is the time to lay the ground work and gather important information for the new year. As you are visiting clients, don’t be afraid to conduct a quick assessment on how the year has gone for their business or your work for them this year. As you are gathering this information, you should also plan on how to address their issues in the new year. 3.) Plan Your Visits – This is a great time of the year to visit clients, referrals and prospects bearing goodies for the office or business. A box of donuts or cupcakes can go along way and also opens up an opportunity to find out what they are working on or may need assistance with for next year. On-site visits are an excellent way to glean more information and work from your clients. 4.) Create a Holiday Message: Consider tweaking a tagline or key brand message for your company. It is completely appropriate at this time of year as long as you maintain an authentic brand voice for your company. 5.) Don’t forget about the New Year: We often focus on Thanksgiving, Hanukkah and Christmas, however, don’t forget to celebrate the New Year with your clients and prospects. Again, this is an excellent time to celebrate and quietly bring up their goals and plans of the New Year. Don’t let the holiday season slip by you without doing something strategic and thoughtful for your key contacts. The most important point is to know who your key contacts are and where you want the relationship to go. This will help determine how to approach them for the holidays and as you go into the New Year. Finally, remember…. it is all about building the relationship. You should never think its a waste of time toasting with your client or stopping by with cookies. Relationships are the key to great business development. Do you provide great customer service or a great client experience? Do you have a business, res taurant or store that you enjoy visiting or supporting? It may because of the products they sell, or it could simply be how the establishment makes you feel when you visit Our emotions and our experiences play a huge role in branding and marketing. As brand owners, we cannot ignore the power of creating a great and memorable experience for clients and customers. Why is Client Experience (CX) Important? If a customer has a great experience with you, he/she will likely be a repeat customer and will tell others about your business, service or product. If they have enough good experience, they will be a loyal customer. Customer experience is NOT customer service. Customer service is often that point of contact your customer may have your business. Customer experience embodies every experience, from digital awareness/media until after the transaction or service has been provided (follow-up or surveys). Below are a few things to consider with creating a strategy for a wonderful and consistent customer service experience. Unfortunately, I’ve seen businesses or organiations make this too complicated, and then not able to maintain a consistent customer experience plan. You have your core business – the service or product that you provide – therefore, be careful not to overthink providing a good client experience. Think about your current client interactions on a daily basis. How can you improve it? How can you make it easier or more efficient for your clients or customers? Is there another small way that you can make them feel appreciated? We often underestimate the power of simply asking our clients/customers how they feel? If we remember that ultimately marketing is about creating and building relationships, we will keep in mind that in every relationship people just want to be heard and validated. Are you listening to your audience? Do they know you are listening and that you’ve heard them? Are you addressing concerns and issues? Ask. Listen. Respond. Be careful that you don’t judge your client’s experience on one touchpoint. They may have a great interaction with you and your service or product, however, the payment process may have been complicated. Or they may have tried to order something from you online and it wasn’t clear. Or someone from your accounting department was rude. Be sure to step back and look at all touch points and the WHOLE experience of your clients/customers. Emotions play a big role in marketing and branding in a myriad of ways. With client/customer experience, you must know your audience and what is important to them. When we know what is important to them, we understand more of the emotion to connect to and better able to make the the client experience relevant. Always know your audience and what is important to them. If you need assistance with creating a client experience vision or strategy, feel free to contact me. I would love to answer any questions that you may have or help you create an amazing strategy. Building a Brand or a Movement? Starting a business is hard work. The hours can be grueling, along with the emotional and mental stamina needed to stay focused and innovative. One thing that helps with turbulence and challenges of starting a business or organization is to understand if your business or organization exists for more than just paying bills. It’s always exciting when you are brand is also a movement. When the company or organization is more than about a product or service, but you are wanting to create change. So what is different about creating a movement? Movements are built on the things that make us human, which is ultimately that we want to be a part of something greater. Connecting to something to believe in and follow. Movements are about creating a change. This doesn’t mean that brands won’t do that. However, the goal of a brand is about telling the story of your business, organization or product and allowing people to experience and follow that brand. Movement is about transformation, where brands are often looking to dominate and compete in the marketplace. The goal of a movement is to change lives. Both are needed and critical, however the strategy and tactics needed with each are different. Are you creating a brand or a movement? Inspire. You can’t get away from it. If you want to create a movement, you have to inspire people to love something or hate something. You have to tell the story in such a compelling way that you tug on the emotions of your audience. Experience. Stories are great; they keep us engaged and help us to think. However, experiences make us FEEL something. When creating a movement, you have to create an experience for your audience. The experience you offer will depend on your industry and the vision for your company. But don’t ignore it. Live it. Whatever you are asking people to do, you have to be already doing it. It needs to be ingrained in you and what you believe and do . Create a call to action. What do you want your followers to DO? Do you just want them to share the information? Donate? Follow? Attend? Buy? Whatever it is, tell them what you need for them to do and engage them to be part of the project. You have to show people how to follow. Build a Tribe. In order to build a tribe, you need to build trust. Trust allows you to ask people to do some amazing things. When creating a movement (or building a brand), you need trust. Again, some brands are both. They are about telling your company story, creating a following and proposing change. Whichever you are doing, know the difference and tweak your business model accordingly. If you need assistance in this area, feel free to contact me at lee@ashbyandwatts.com. Or attend my next workshop Strategy & Stilettos- The Workshop. Developing a strategy is important in any business and marketing endeavor. Often business owners or brand owners want to jump right into marketing, with very few plans and absolutely no strategy. planning is often going too big. I know society tells us to “dream big” or “go big, or go home.” I definitely don’t want to limit anyone’s dreams or plans. However, creating big plans often paralyze or delay action plans. An effective strategy is to learn the skill of going small with your big plans, i.e. FOCUS. I’ve seen it time and time again… the plans are so big, with no focus and action items. Below are some steps on how to still think big, yet go small with your marketing initiatives. 1.) Know your marketing goal for next 3 months. Choose just one marketing goal for the next 12 weeks and focus on that. Try not to take on too many initiatives. Just focus on one thing and know it inside and out. If you do this every 3 months, you will have accomplished 4 marketing goals by the end of the year. 2.) Know your target audience. We can never get around this. No matter what your business or organization, you must get serious about knowing your target audience. This doesn’t mean you ignore others, but knowing your target audience helps you to develop a tone and voice, as well as plans on how and where to market to this audience. 3.) Develop keywords and phrases. Once you know your brand and your goals, it should be easy to develop the keywords and phrases that should be throughout your marketing materials. 4.) Know the value you bring and the problems you solve. Very critical when it comes to focusing and going small. Don’t try to solve problems that are not your speciality or strength. This spreads you thin and takes you away from “going small.” Stick with your strengths and where you add value. 5.) Talk about your results. We could talk all day about ourselves or the business or organization. Instead of spending too much effort focusing on yourselves, focus on talking about your results. Testimonials are powerful. Sharing client quotes or experiences with potential customers or clients are effective in creating a marketing strategy. Thinking BIG is great! We need big thinkers and dreamers. But make sure you know how to go small and focus so that the big things get done. For more information on creating an effective marketing strategy for your organization or business, contact me for a 10 minute complimentary session. We have all read so much information about finishing the year strong. Finishing strong is admirable and should be a goal for any business owner or leader. However, STARTING off strong should also be our focus. With just a few days left in 2016, our focus should now be shifting to how to start off strong and remain focused in 2017. I believe in the power of momentum. What is in motion, often stays in motion. This is why morning rituals are so critical. It is often a predictor of how you spend your energy the rest of the day. The same theory applies with your year. Plan the first quarter of your year now, if you have not already. Create an undeniable momentum and see how your year takes off. Develop Your Theme: Even if you don’t externally promote your theme for the year or the quarter, you should have it as part of your marketing plan for your or your team to remember. Having a meaningful theme helps to focus marketing efforts. Anything that does not help build or sustain your internal theme should be considered random acts of marketing. Discover your vision for the year, develop a theme that everyone can quickly remember and put your energy toward your theme. Create Boundaries: This is a big one for me. I’m learning this as I’m type this blog. But I can also write about it because I’ve experienced the detrimental effects when a business owner or leader does not create boundaries. In 2017, decide the type of boundaries you need to have a more successful and less stressful year. Will it require saying “no” more often? Refusing to work with certain clients that drain your time or energy? Creating specific work hours or days? One boundary I was proud of this year, is that I said no to work on Sundays. I broke that rule once and I felt horrible and somewhat resentful toward my client. She didn’t know and it was not her fault. It was up to me to establish that boundary. What are those things that brought you stress? Discover how to create boundaries around those issues. Know Your Leads: If you are not focusing on leads, then you are not focusing on growth. Leads are your prospective clients or customers. Develop a plan on how to turn your leads into clients. Often we are so proud of our prospective clients or our followers, but we are not thinking strategically about how to turn them into loyal clients or customers. It is also important to know how long it takes your typical lead to make the decision to convert to a customer or client. For some industries and businesses, it may be just a few minutes, for other industries it may take several weeks. Normally the higher the risk or cost, the more time it takes to convert them. Know this and develop a plan. Test and Measure: ROI (Return on Investment) is important. Sometimes it is difficult to measure, but think about what you can measure that will show some accomplishment or movement of some key goals. Marketing or branding is often hard to measure ROI, however, there are components that you can measure depending on your goals. For example, you may measure how your mailing list grows or the analytics of your newsletter. Are more people opening or clicking on the articles? How many people are calling per month? How many people have attended or visited your business or organization? Don’t Discount… but Add Value: This was also a hard one for me. Discounts are sometimes necessary or can spark activity. However, don’t get into a perpetual cycle of discounting. This diminishes your value and sets the wrong expectations with your clients and customers. Some professionals never discount their services, the same with some products such as Apple. But, making sure you have value propositions is important. You can’t stand your ground on no discounts, but not add any significant value. The better you are, the more you KNOW how good you are, the fewer discounts you need to give. Brainstorm Big: I LOVE brainstorming. When I meet with my clients, they will often hear me say “I’m just thinking out loud, you may not like this…” Brainstorming is not meant to perfect or right, but to expand your mind and take you down different paths. If something doesn’t feel right to you or you need a breakthrough….start brainstorming. I encourage you to kick off your year brainstorming and exploring the possibilities with your business or organization. I hope this gets you started on a phenomenal year! Yes, end your year strong and do everything you can to feel proud of how you said goodbye to 2016. But don’t get too caught up on 2016. One of my favorite scriptures is Isaiah 43:18: “Forget the former things; do not dwell on the past.” Or another version says: “But forget all that–it is nothing compared to what I am going to do.” (NLT). The future is bright. Enter into 2017 with great expectations for your business or organization. Many of us love a good story. We can be easily drawn in by the imagery, details and the rhythm of a story. Stories tug at our emotions and draw us into a person, place or situation. This is one of the reasons why storytelling is powerful in marketing and branding. It helps your audience relate to your vision and mission. People purchase and follow authentic stories. Developing your story, as you develop and market your brand, is critical and breathes life into your brand. It is what we often refer to as emotional branding. It gives a personal connection to your brand. It’s Not Just About the Words. Colors, images and logos also tell a story. Think about the great brand of Apple. It is about simplicity, both in how they operate and market. They website, logo, colors, even Steve Jobs only wore one color. Think about everything you allow your audience and followers to see and experience. This includes your events, podcasts and social media. What is the story? Develop Your Tone. As much as I would love to be, I am not a funny person. Therefore, I don’t write my story like I am funny, I don’t try to be someone I am not. My tone is casual, yet professional. I seek to write clearly and simply. I know my tone. I’m aware of the brand I want to build, therefore, I build my story with that in mind. Give Them Something to Do. Just like any other story, there are various parts to a story. There is an introduction (set-up), the climax or conflict, and then the happy ending. However, with branding, you also must give your audience a call to action. You must give them something to do after they know your story. Use Testimonials. Testimonials are powerful. People who know your story and your why, or others that share the same story and walking the journey with you, can help contribute to the story. If you need assistance developing your story, please contact me. Perhaps your company is already up and operating and your brand is already developed, keep in mind that as your brand grows or evolves, so will your story. Feel free to schedule a complimentary consultation with me. Hashtags are a popular and effective marketing tool in social media. However, so many people focus on being clever and cute with hashtags that they often ignore the power and strategy in using them. 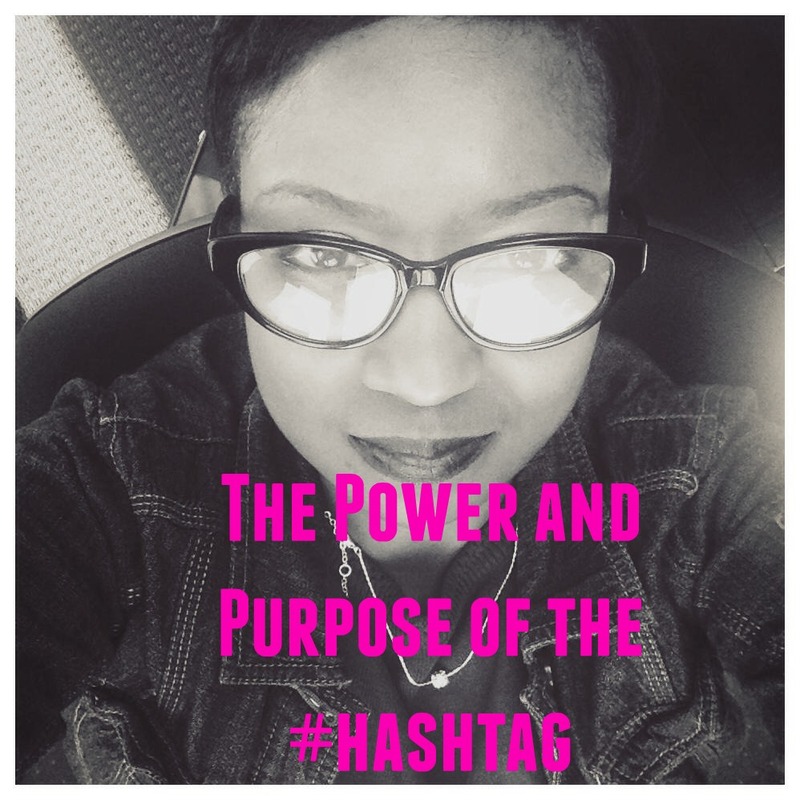 The purpose of a hashtag is for your content and brand to be discovered. It helps to create a comm unity and pull other like-minded individuals and interests together. For example if you are a personal trainer and you use the hashtag #fitness on a picture – you will attract others that are interested in fitness. Hashtags used strategically can expand your brand, audience and your content… and remember… content is KING. If you are going to market effectively, you must have content..and you must have content others can find. Below are some reminders on using hashtags. 1.) Keep it simple: We have all seen the long hashtags that either gets misspelled or we have to read and review a few times before we retype it. Just like taglines, for a hashtag to be effective, it must be memorable and easy to use. It is okay to create unique hashtags for your business or organization, but it also should be memorable and easily repeated. If it takes time for people to “get it” or “understand” the hashtag – then you are diluting your brand. 2.) Use trending hashtags: If there is a trending hashtag that relates to your business or organization, don’t be afraid to use that hashtag and join in with energy and trend. You can find trending hashtags each day, several times a day on Twitter. By using this strategy, someone may discover your organization or movement. 3.) Use it everywhere: If you have a hashtag specific to your business or organization, be sure to use it everywhere and encourage your team and audience to use it, as well. You want people to understand your brand and spread the word. Use it in your posts, website, signature, etc. 4.) Don’t use too many: Using too many hashtags, as many often do on Instagram and Twitter, will dilute your interests, your focus and your message. It is often seen as spam, as well. Try to think strategically about your hashtags and keep it within 3-5 hashtags. Hashtags, if used strategically, can expand your brand and amplify your content. Take some time to think about your audience and who needs to see your content and use your hashtags #strategically. I absolutely love celebrating the new year! It is a great time to refocus and recharge, both professionally and personally. However, depending on your business or industry, marketing at the end of the year can be challenging. Below are a few suggestions for year-end marketing and how to get a jump on your new year. Plan, plan, plan – This is a great time to plan (and dream) for 2016. Find time to get away by yourself or with your team and brainstorm on what you want to accomplish next year and begin planning it. There are a variety of marketing strategies and items you can be planning, ranging from content to advertising to social media. For example, if you have a blog or podcast, now is a great time to plan out your content for at least the first half of 2016. Trends – What are the top trends for 2016 in your industry? As you are planning, think of how you can maximize that knowledge. Perhaps as an article that you pitch to the media or as a blog on your website. Establishing yourself as a thought leader by discussing trends is a great marketing and client development tactic. Lessons – The end of the year is also a great time to review the year and highlight the lessons learned in various industries. Not only can you discuss the future and what is to come, it is also a great time to review what happened and the lessons learned. Recycle content that works – Highlight your top ten posts, blogs, videos or quotes. Often people are busy and tired at the end of the year, so this is a great way to still promote and market. Take a step back during the last few months of the year and re-evaluate your top-performing pieces of content. Recycling content or repackaging it in a new way can be a great way to get more out of what you’ve already produced. Surveys – Do you know what your audience is thinking about? Were they pleased with your company or organization? What are THEIR goals for the new year? What disappointed them in 2015? Take this time to KNOW YOUR AUDIENCE – a critical piece to any marketing or client development plan. New Year Gifts – If you missed getting cards or client gifts out for Christmas, you can also reach out for the New Year. This is a great time to reconnect with clients and find out what they are working on for the new year.